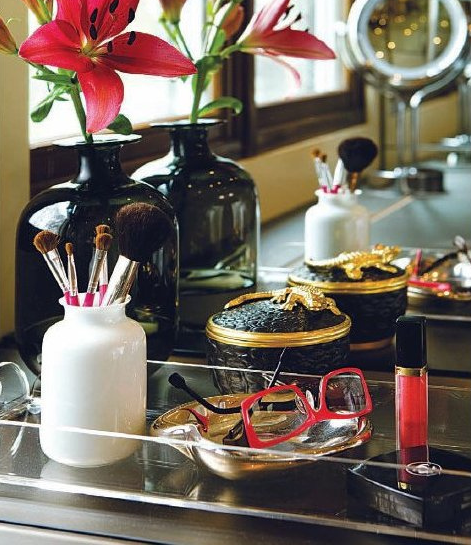 I adore lucite trays! And I've been longingly browser shopping my way through the best of them, but I just haven't been able to convince myself to spend more than $200 on one. 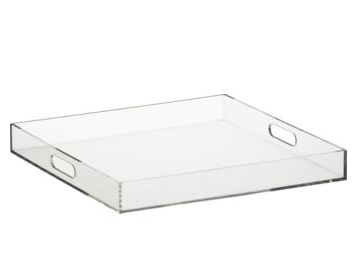 So when I was wandering through the Container Store one day and saw a clear tray for TWELVE DOLLARS I thought - why don't I make my own tray? Ta da! It's my cheetah print lucite tray. For a grand total of less than $20! 1. Find an inexpensive clear tray. I found mine at the container store in the bathroom storage section (they have several versions and sizes), but a quick Google search will yield numerous options. I particularly like this version with handles from CB2 for $40. Next, pick a beautiful paper you'd like to see every day (wallpaper and wrapping paper, especially quality papers, will do nicely). I chose a cheetah print wrapping paper from World Cost Plus Market for $4.95. 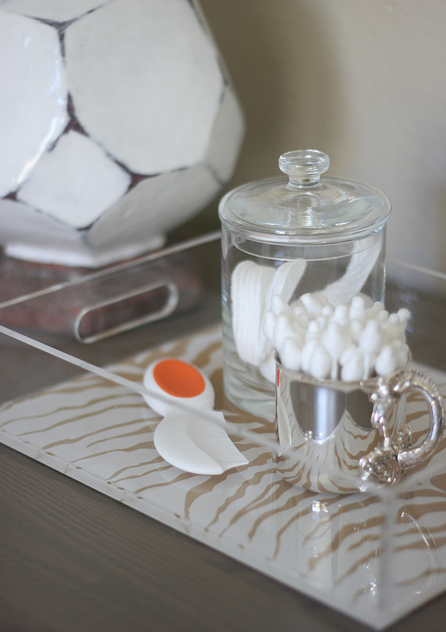 Brush the bottom of your tray (underside) with a thin layer of Mod Podge. Don't overdo it, or you'll soak the paper and cause wrinkling. (Note: papering the tray's underside will ensure a lovely shine, and a waterproof interior to the tray for floral arrangements and so forth. This is not a good solution if you're planning to use the tray for, say, coffee service; sitting it down on a damp kitchen counter could ruin your hard work). Next, press the paper onto the bottom of the tray. You'll need to keep an eye on it for the next 10 minutes, as the paper may bubble a little and require smoothing. I chose to cut the paper to the approximate size and trim it after the glue dried. If you're better at measuring than I am, you can go ahead and cut it to size before gluing. After the initial layer dries for 24 hours, add another thin coat of glue on the back of the paper for extra protection. 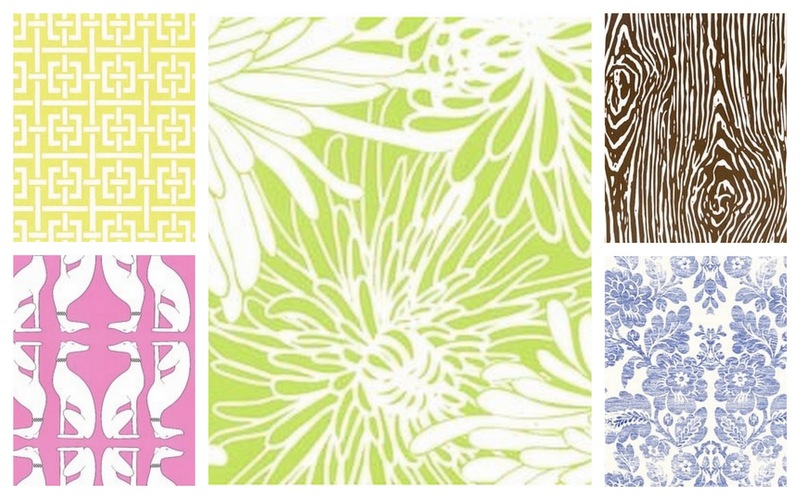 Here's some more inspiration - great papers from PaperMojo, and other pretty trays! P.S. If you're creative with graphics, you can always design and print your own paper, and personalize it with your initials. Great look and price! Good job. great job! I'm with you haven't the heart to spend 200 on a lucite tray-but you have given me the needed inspiration! come visit me soon-Im hosting a give away today! love this idea! your looks absolutely gorgeous. Wonderful!! I'm not much of a do it yourself girl but this doesn't look too intimidating!! So chic and practical!! Great idea! And you made it easy to do. 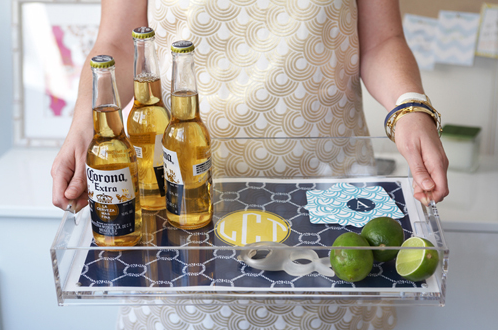 May have to find a tray and try a monogram. OOo. So pretty. 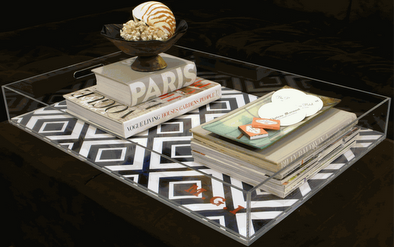 Like your lucite coffee table, too. This is totally one of those "I wish I thought of that" moments. Brilliant and beautiful! I have two of these not being used. Now i know what I'm doing. Thanks! 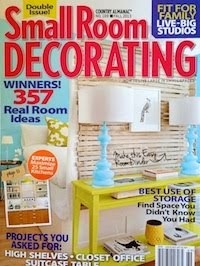 Love the blog!!! 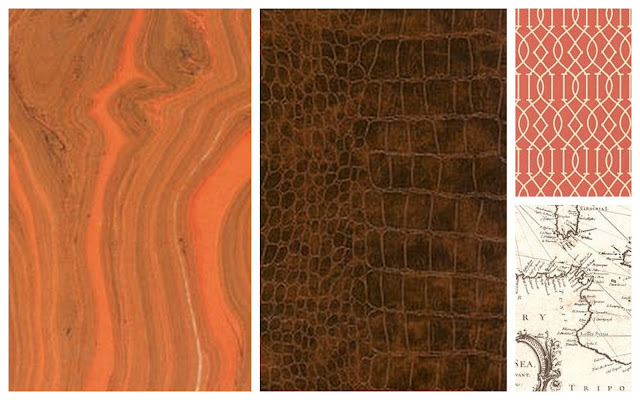 there are so many type of decorative papers - possibilities are endless. you are a GENIUS!!!! So freaking glad I found your blog via pinterest tonight!!! So obsessed! Such a great project and it looks WAY more expensive than it was! This looks amazing! I love how it turned out. So impressed with this DIY!! Love, love, love.